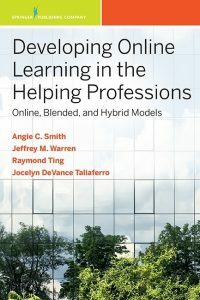 The new book provides a hands-on guide for online instructors, clinical faculty, program directors and administrators on how to navigate fundamental online learning issues and effectively advocate for online learning within the helping professions. The resource book also includes tips on course design, ways to engage students and practical checklists for creating and implementing a course. Over the course of 14 chapters, Smith and her co-authors cite research in online learning, share personal anecdotes and offer guidance on how to keep classes engaging and student-focused. Smith is the lead author of “Development Online Learning in the Helping Professions.” Her co-authors are Raymond Ting, Ph.D., professor of counseling at the NC State College of Education; Jocelyn DeVance Taliaferro, Ph.D., associate professor of social work at the NC State College of Humanities and Social Sciences; and Jeffrey M. Warren, Ph.D., associate professor and chair of the Department of Educational Leadership and Counseling at the University of North Carolina at Pembroke. Below, Smith shares tips for educators starting out in online learning and talks about the need for this book. Angie Smith is a teaching associate professor in the NC State College of Education counselor education program. 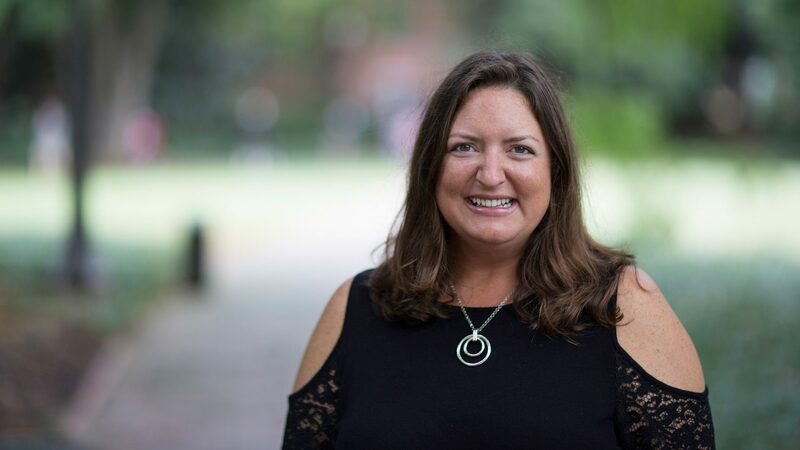 She is an advocate for online learning within the helping professions and has taught both in the classroom and online for seven years. Siu-Man Raymond Ting is a professor of counseling in the NC State College of Education. He is active internationally in scholarly work, consultation and training regarding admissions and retention in colleges, career placement and mental health in China. Jocelyn Devance Taliaferro is an associate professor of social work in the NC State College of Humanities and Social Sciences. Prior to working in academia, she spent more than 15 years social work and nonprofit administration. Jeffrey M. Warren is an associate professor and chair of the Department of Educational Leadership and Counseling at the University of North Carolina at Pembroke. Why is it important to have a book like this available for educators? My motivation for leading the project and collaborating with colleagues to write the book was that there wasn’t anything like this when I started teaching in an online environment. I remember asking different colleagues how to do things or what kind of approach to take in my online classroom, but there wasn’t a lot within the helping professions from which I could draw. I thought about what kind of book I would want to see if I was just starting out today. This particular piece is dedicated to sharing viewpoints from a variety of different educators and provides the reader with tools and techniques that they can then take and mold to fit their own online course or material they are teaching. There are reflective questions as an opportunity for the reader to learn but also reflect and think about how they want to incorporate some of their own face-to-face teaching principles and philosophies into the online environment. Both newcomers and experienced educators alike. Ironically, while we were writing the content my co-authors and I kept pointing out how much we were learning from each other. Hopefully, this book will help both the seasoned professional and the newcomer to teach within the helping professions online. Online learning does not mean you have to abandon the practices you currently implement in your classroom or your philosophy on teaching. We hope to provide additional resources and tools that may make educators’ lives easier if they want to incorporate online learning or pieces of that model into their curriculum. One of the chapters is titled “What NOT to do: Mistakes, Glitches, and Lessons Learned the Hard Way.” What are a few tips for educators? Identify your support system and resources both on-campus and off-campus. As instructors begin to develop their courses, they should identify the technology support, faculty and staff who have taught online, and administrators and colleagues who support their course development and delivery. At NC State, DELTA provides tremendous support to instructors through course design and development, video support, training, workshops and much more. As a counselor educator, one of the hallmarks of our profession is to know thyself. As online instructors develop courses and deliver content, don’t forget to “bring yourself” into the online learning environment. Students will appreciate your authenticity and genuine disposition. Remain curious, play, and have fun. As educators, I believe one of our greatest gifts is the natural curiosity we bring to the profession, our content area, and life, in general. As educators begin learning to teach in the online environment, don’t be afraid to try and learn new technologies, play in these spaces, and even have fun!